Notification Inbox: The new inbox stores all your notifications for you! Missed a notification? No problem! Our new notification inbox stores them all for you. 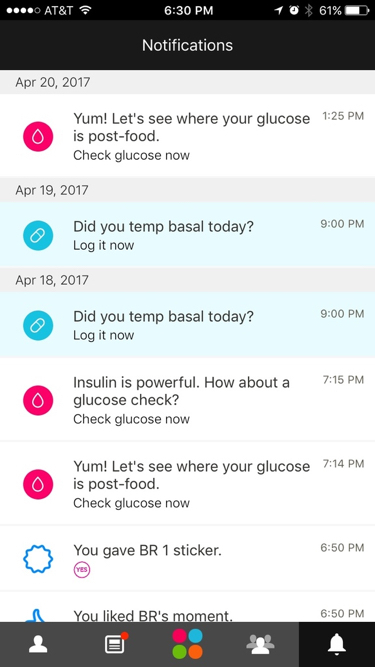 See your meds and glucose check reminders, motivational messages, and more. Just tap on the bell icon at the bottom of the home screen to see your notifications. *This feature is currently available on iOS devices only. 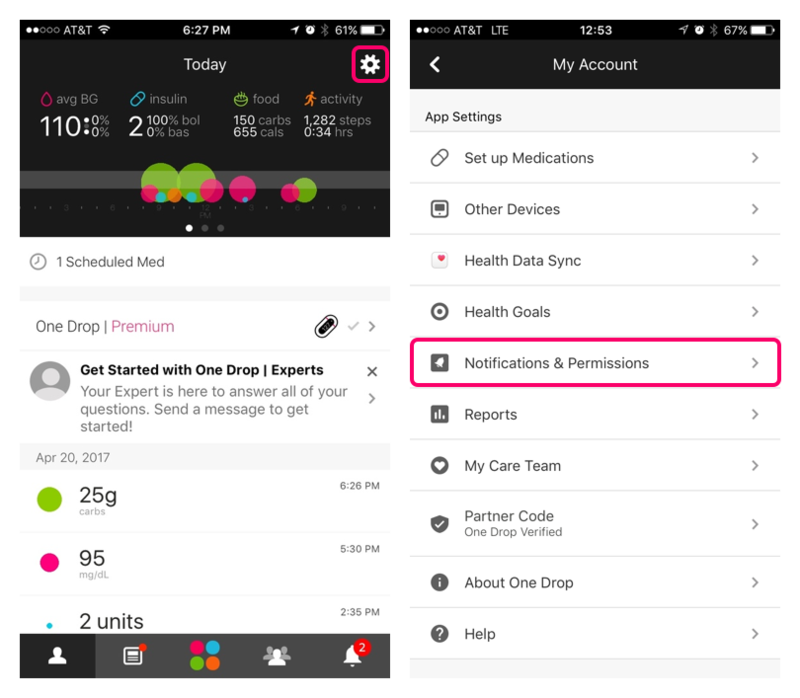 Go to Settings in the One Drop app. You can find Settings by tapping on the gear in the upper right corner of the home screen. 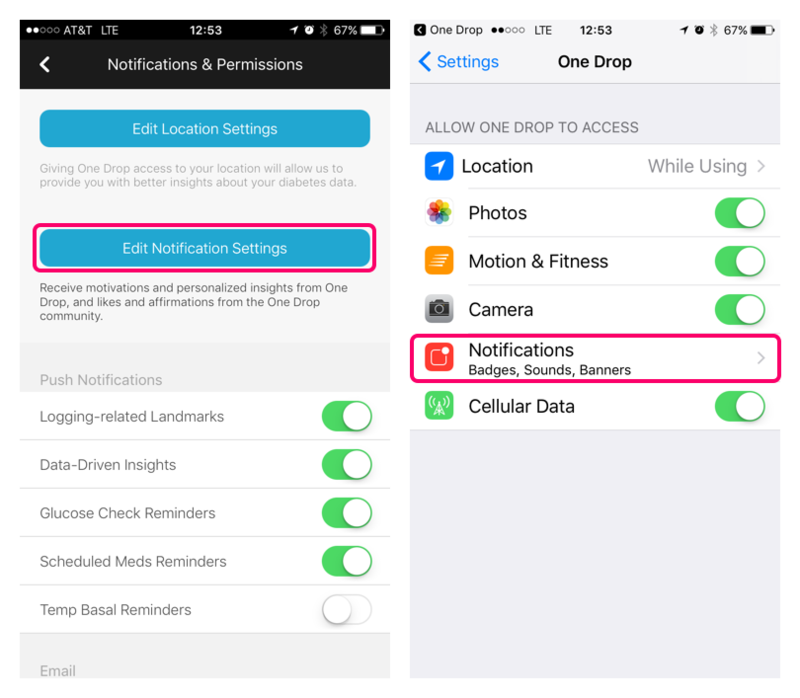 In Settings, tap Notifications & Permissions. 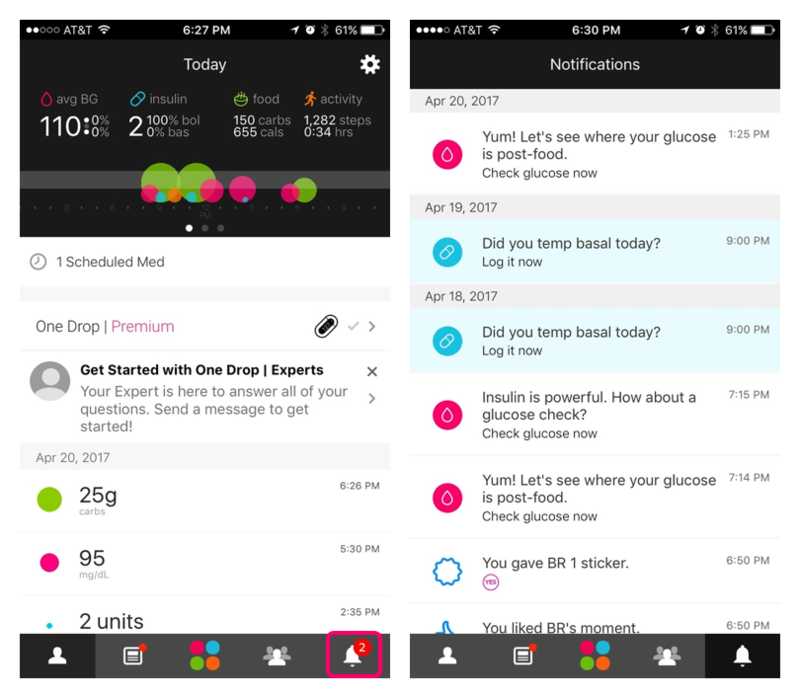 Customize your notifications using the toggles next to the options listed. If you haven't ever enabled notifications before, tap Edit Notification Settings . You'll be led to your phone Settings from here. Tap notifications. Then select the notifications you would like to receive by using the toggle next to each.